The island of Phuket is one of the most popular holiday destinations in Thailand. On the island there is an international airport (the thai name ท่าอากาศยานนานาชาติภูเก็ต, english - Phuket International Airport). In the arrivals area has currency exchange points. However, the exchange rate at the airport was not the best. To exchange currency is more profitable on the beaches, therefore, be exchanged at the airport better than a small amount that is enough only to get to the hotel. 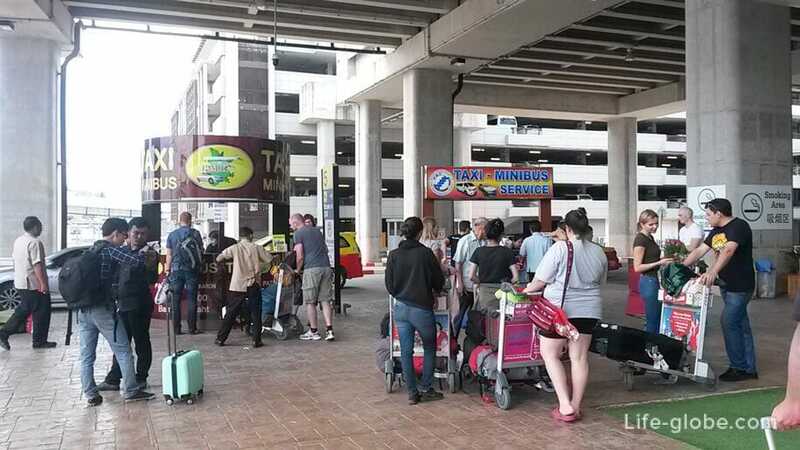 Minibuses will take you from Phuket airport to your hotel, but only on the beaches of Patong, Karon and Kata. The fare is 180 - 200 baht. A ticket on a minibus in the international terminal it is better to buy at the airport at counters in the arrivals area. Tickets are sold on the street, but there are usually queues. The price is the same. Vans do not ply in the night. Take a taxi (at the airport) at the front of the taxi. 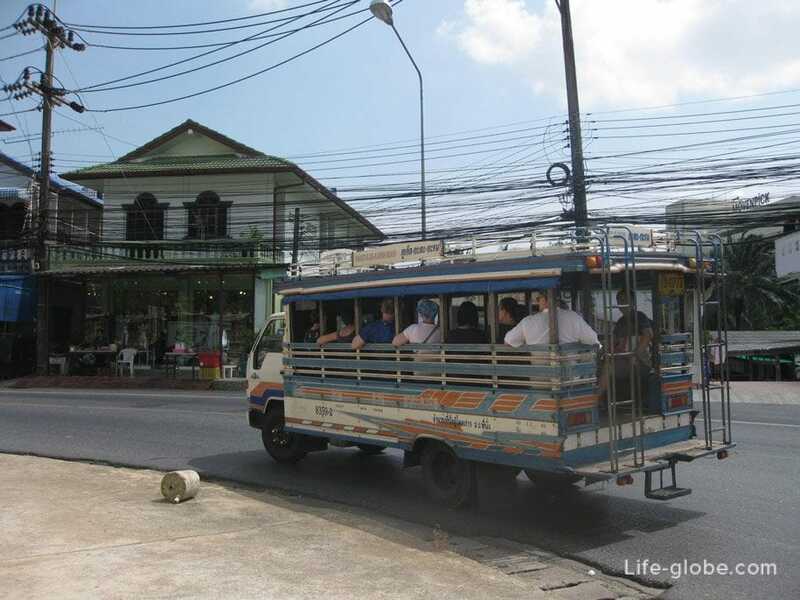 The airport bus will take you to the station to Old Bus Terminal in Phuket town. The fare is 100 baht. Travel time from 45 minutes to 1 hour and 20 minutes. The bus schedule can be read here. 1. Minibase, method, which was described earlier. 2. The bus, which for 120-150 baht will take you to Patong beach, with the driver you can talk to the ride to Karon or Kata. 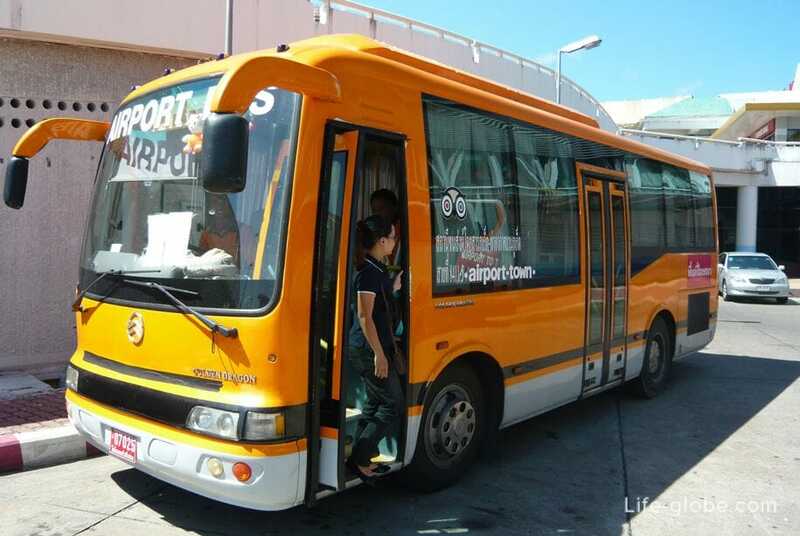 Smart Bus runs from the airport to Phuket on the West coast of the island to Rawai beach. The fare is from 50 to 180 baht. To pay for the bus you must buy a card for 300 baht, and 100 baht non-refundable Deposit. Do smart bass is stay in Patong, near the beaches of Bang Tao, Surin and Kamala beach, and Karon and Kata beaches. Stops and tracking of buses online here. 4. With transfers via Phuket town. First public bus to the island's capital, Phuket town, and then on songteo (blue bus with no Windows and doors) for 30 baht to get to Patong beach. The bus stop in Phuket town is located on Ranong, near the Old town. 1. With transfers via Phuket town. From Phuket town on songteo for 40 baht, you can drive to the beaches of Karon and Kata. With beach walking distance to Kata Noi beach, distance about 1 kilometer. From Phuket town on songteo for 40 baht, you can drive to the beaches of Bang Tao, Surin, Laem Singh and Kamala. From Phuket town on songteo for 40 baht, you can drive to the beaches of Rawai and Nai Harn. On the bus to Nai Harn beach, and there is a short walk to Ao Sane. From Rawai beach, about 1.5 kilometers to the beach Yanuy. Naithon beach, although located close to the airport of Phuket, the distance is only 8 kilometers, but the constant public transport from the airport to the beach there. All accommodation in Phuket from budget to luxury and exquisite, you can view and book here.